Rich, creamy pumpkin pie and heart healthy oatmeal make for a perfect, gluten free breakfast. Now, before we get into the debate over whether or not oats are safe for Celiacs, here's how I look at it: oats, themselves, are gluten free. The issue basically comes down to harvesting and processing -- so make sure you are purchasing certified gluten free oats from a trusted supplier and you should be all set. 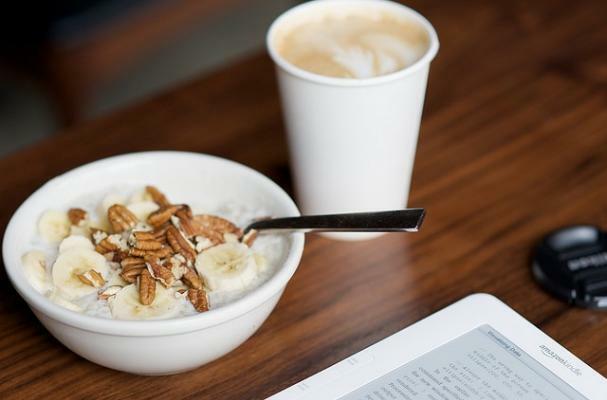 Everyone will agree that oatmeal is a fiber-rich stick-to-your-bones breakfast that will start your day off on the right foot. Combine this cholesterol lowering super food with rich and dreamy pumpkin and spices for an all star breakfast you and your family will love. Here are three of my favorite recipes that will be ready in no time! This budget friendly recipe is a great way to feed a crowd, providing a delicious breakfast at minimal expense. All of the classic flavors of fall in one simple, easy breakfast. With egg whites, pecans and maple syrup, your breakfast just got a makeover. Add sliced bananas for an even more amazing treat.